The audio on this remastered CD set is brilliant. Sonically and dynamically the mastering is top notch. My gear includes Yamaha RX-A3000 receiver and Polk tower speakers. Highly recommended. I have exactly this same version of CD but made in Argentina. The story of Fleetwood Mac is one of endless changes in style and occupation. They were in the 1960s, led by Peter Green and Mick Fleetwood, one of the most original British blues bands. Later they grew out to suppliers of a polished, masterly LA sound, with which they conquered the American airwaves in the 1970s. Their most successful album, Rumours from 1977 – that was made by the best known occupation of the Group: Fleetwood, John McVie, Christine McVie, Lindsey Buckingham and Stevie Nicks – is one of the best-selling albums of all time. Although they never really failed to match that success, the band during the three decades that followed on irregular basis and plates, in different configurations. 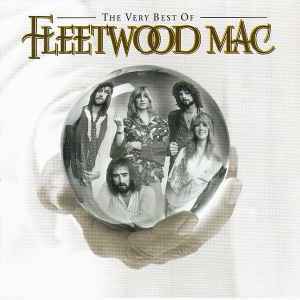 This collector on two CDs focuses on the AOR-work of Fleetwood Mac by the mid-seventies and beyond and leave the blues period with Peter Green. By the numbers criss cross to organize (and not chronological) is glossed over that most of the best songs in a short time (in the period 1974-1979) is written.